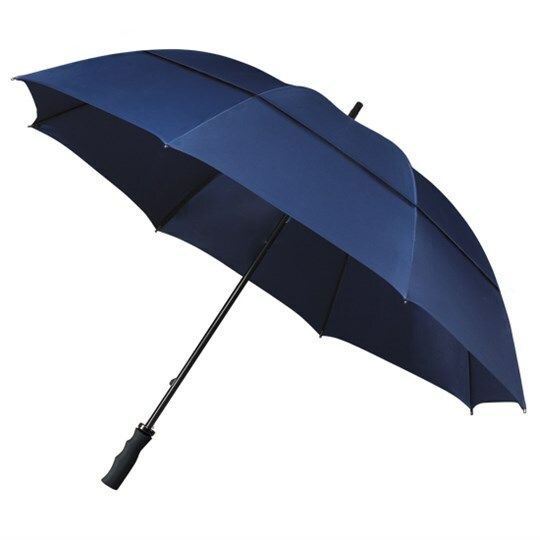 This extra large golf umbrella, the MaxiVent XXL is bigger than a standard size golf umbrella. 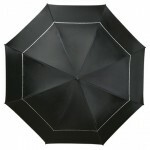 With a diameter of 140cm this XXL umbrella is truly awesome. Available in black or navy blue. The edges of the canopy are trimmed with a smart silver colour piping. 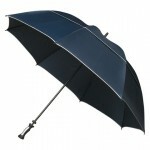 The brand new MaxiVent XXL extra large golf umbrella is a double canopy vented umbrella with flexible fibreglass ribs. 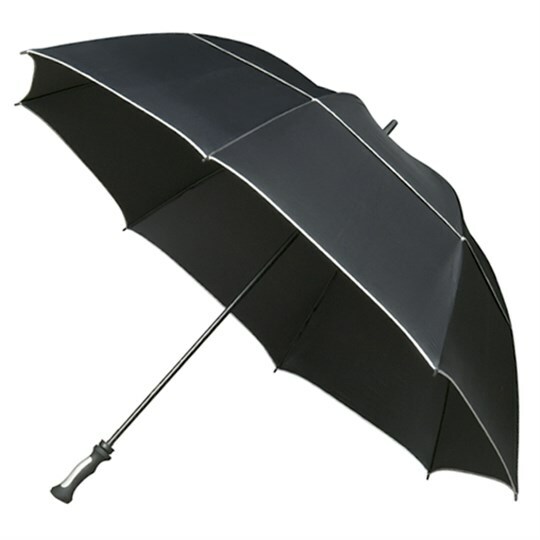 This makes for a huge windproof golf umbrella. The specially designed canopy allows the wind to pass through the canopy vents and keeps the rain out! It’s high quality double fiberglass frame and 14mm fibreglass shaft give amazing strength whilst the rubberised handle has been designed with comfort in mind. 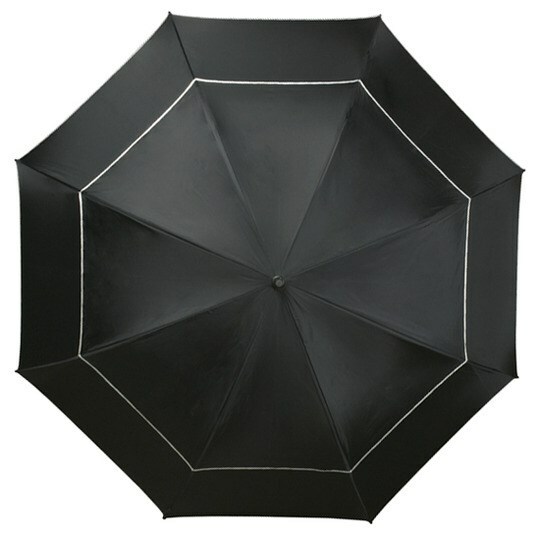 Canopy width is a massive 140cm and the shaft of the umbrella is 109cm long from handle to tip. Comes in its own smart plastic sleeve. 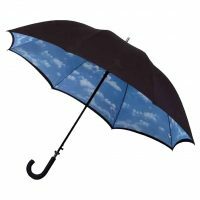 You really need to see this titan of an umbrella to appreciate it’s quality. When a standard size golfing umbrella just won’t do then the MaxiVent XXL is the one for you. 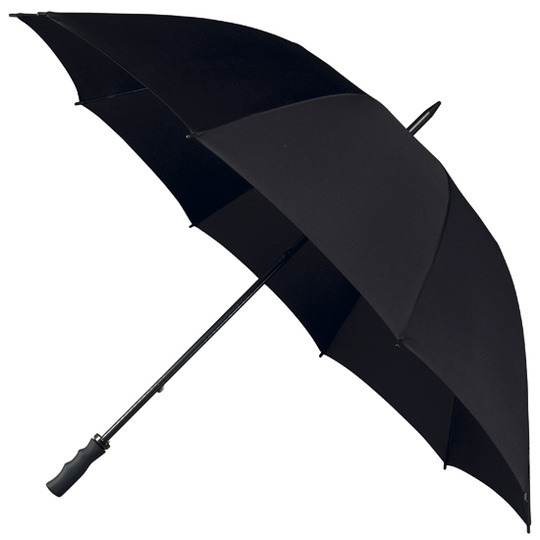 Simply put, we know of no larger golf umbrella than this. 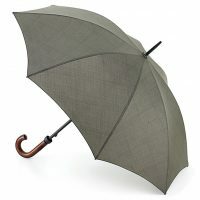 Not the umbrella for you? Take a look at our range here.